Last year 2017 was an eventful year for us. Hurricane Irma surged through Jacksonville in September dumping loads of water and downing trees. 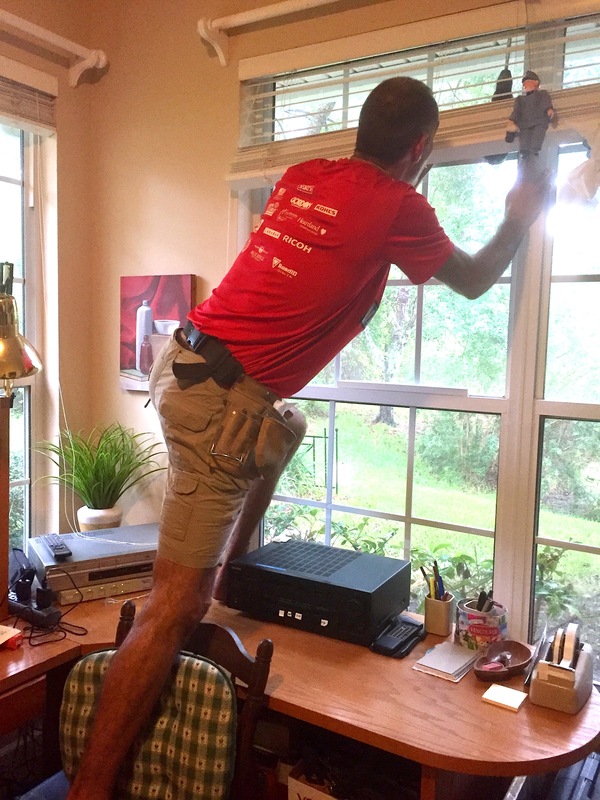 Son Joel here was determined windows on our property would be secure. He had strong intention, believe you me! Intention is a word with muscle: Eyes trained forward, body leaning in, as the photo above illustrates. The word is full of possibility with an aim that guides action toward a target. 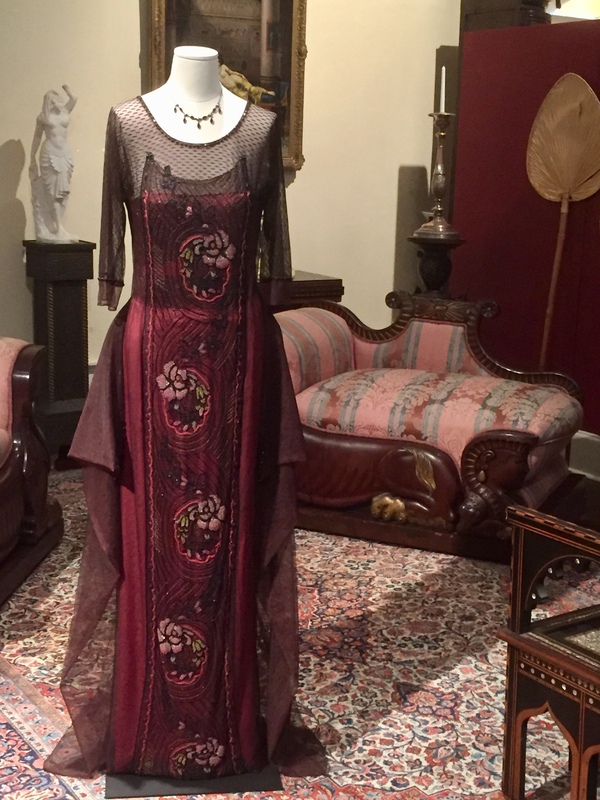 Last week my sister and I toured the Dressing Downton display at the Lightner Museum in St. Augustine before it is whisked in crates back to England. In the photo below the Dowager Countess of Grantham Violet fully intends to belittle or insult her daughter-in-law’s mother, monied Martha Levinson of New York City. It’s no secret that these characters played by Maggie Smith and Shirley MacLaine in the Downton Abbey series took pleasure in exchanging verbal barbs. Of course, they added spice to the story line. As my word for 2017 conveyed, I had planned to complete my memoir, but I was deluding myself because of circumstances. [Focus] does the job of describing my intention to complete my memoir writing this year. With an aunt in hospice care, I should have known my focus would probably be diverted. For the first half of 2017, urgent family concerns took priority. Along with sister Jean, Janice and I undertook the enormous task of saying “goodbye” to dear Aunt Ruthie, curating her possessions, and preparing her home for sale. A trip to British Columbia was one of the highlights of 2017. 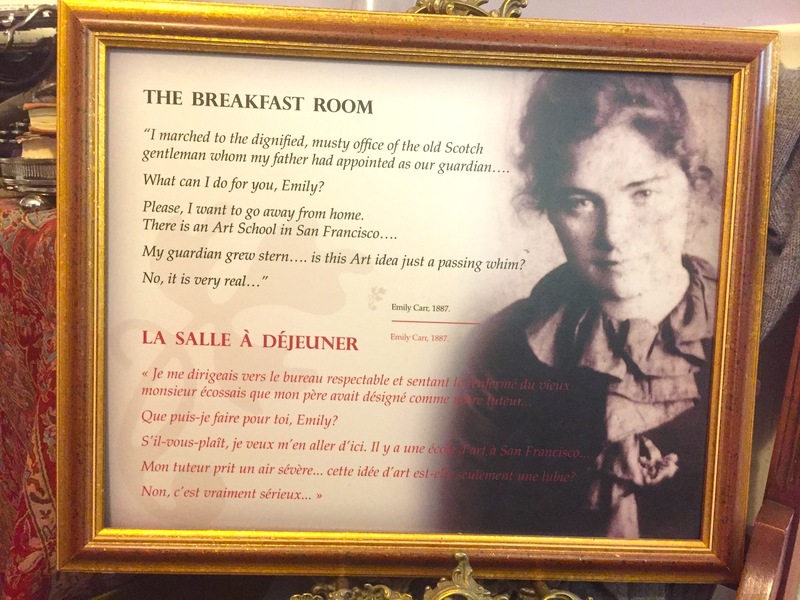 In Victoria, we spent a full morning touring the home of writer/artist/conservationist Emily Carr, whose life pulsed with strong intention and follow-through. Here she expresses strong intention to go to art school. Recently, I discovered Thomas Merton’s statement of intention, declared as a prayer. In a sense, he implies that divine desire may equate to intention. WORDS PAIRED with ACTION: SHOW ME! Julie Andrews, the Liza Doolittle character in My Fair Lady vents her frustration at Freddie’s weak attempts to woo her, when she belts out “Words, Words, Words, I’m so sick of words!” She begs him to “Show Me” with action! I will achieve my writing goals via a zigzag path, be resilient enough to know detours don’t mean denying the goal. My aim (with my manuscript in another reader’s hands) is to proceed, make progress toward publication in the new year. What is required: flexibility and acceptance of where I am now – along with laser focus toward my goal. Oh, and hope and joy along the way! Did your intention take a detour in 2017? 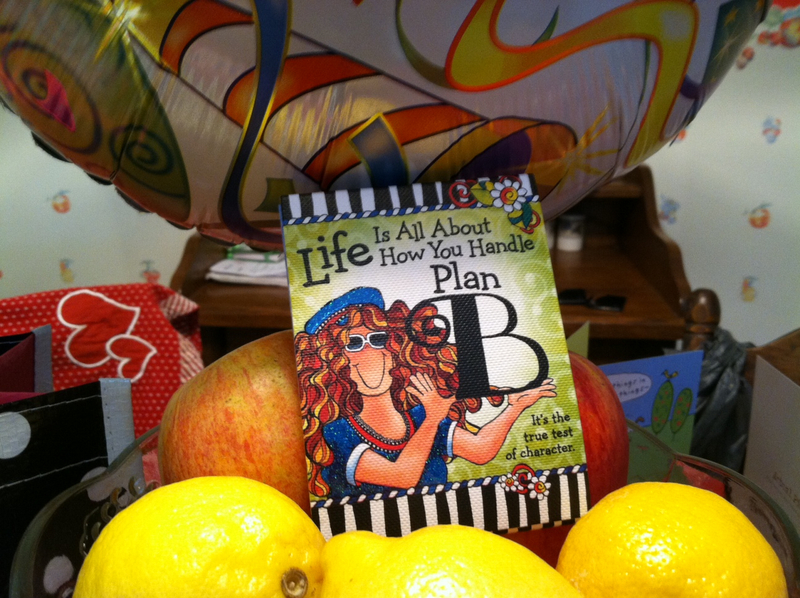 Did circumstances require you to adapt to a Plan B this past year? Writers, please add your website in “comments” if you have ever chosen a similar word to express your writing intentions. My intention definitely took a turn in 2017, but I’m hopeful it will be a positive direction. Since 2011, I’ve chosen one word and so far, it’s worked well for me. Funny, my word for 2018 is a variation on yours. I hope to share it later this month. Happy New Year, Marian! I wait with bated breath for your new word. In the meantime, I pause to remember the methodical way you pursued publication in Woman’s World magazine. You nailed it finally and with a healthy dose of persistence. I predict 2018 will be another good year for you. I better write that post! LOL! I do believe 2018 will be a great year for you too, Marian. Good morning, Marian. So is intention your word? I’ve never chosen a word or made resolutions for the New Year. Good luck with yours. The exhibit looks fun, and fun to see it with your sister, too! Your astonishing output illustrates the “Show Me” lyrics in My Fairy Lady. Poetry and prose of encyclopedic proportions pop out of your head, no joke. You appearance here must mean that your internet has been restored. I join you too in best wishes for your loved one’s recovery, Merril. Thank you, Marian for the compliment and good wishes for my mom. She is being moved to rehab this afternoon. Yes, when I posted yesterday after the Internet was up again. The Verizon FIOS technician had to replace something outside in the very cold morning, and then it was fine! My word for 2018 is Complete, so you could say my intentions were diverted before and I’m aiming to complete! Arlene, I like the positive tone of the word Complete. Best wishes this year as you hit the target, bull’s eye! Lovely to read your post Marian thank you and the photos are a delight! We can only hope and pray that we live our lives as best we can, with as much integrity as possible, towards ourselves and others, and practice kindness whenever we can ..
As you know I followed you upheavals this year, both personal and political, on your website, Susan. In some ways they mirrored the political scene here in the States. Thank you for recommending the link from another author. I found the link: https://greenlifebluewater.wordpress.com/2018/01/02/the-twelve-virtues-of-the-merchant-priests/ I believe “honor” is an excellent word to start with. Thank you for your good wishes, Susan! I savor smelling the coffee, first thing – and now am enjoying a lone red hibiscus I rescued from the cold snap yesterday. No roses in my garden just now. I strongly believe that improvisation works far better than too much planning and it is less likely to end up in frustration or disappointment. I grant you that we all need to have a plan of sorts and it is nice to have a goal to achieve, like passing an exam or buying a home. I was thrilled to see your beautiful FB posting of the best moments of 2017. May 2018 turn out to be even better, Fatima. Beautiful post full of gems, Marian. I especially like Thomas Merton’s words—there’s a strong possibility they will make an appearance on my blog one of these days. Wishing you well with your focused intention this year. I look forward withmgreat anticipation to reading your memoir too! 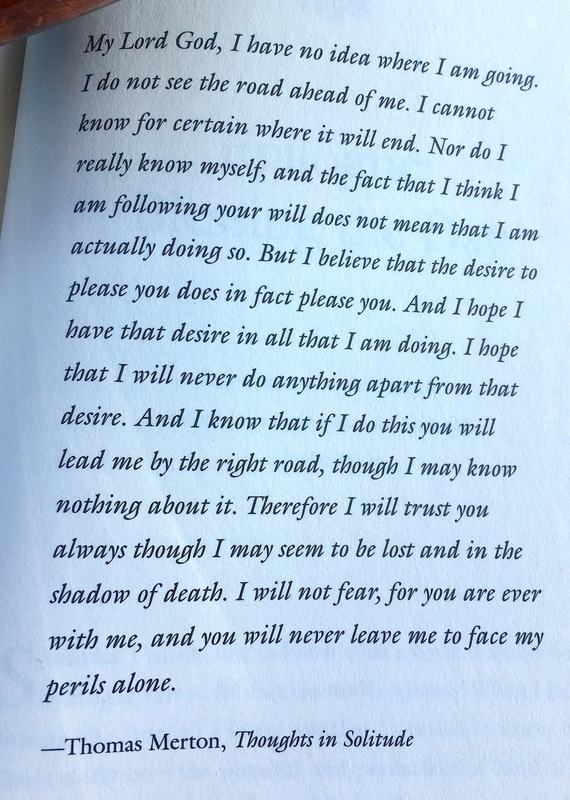 Like you, I appreciate Thomas Merton’s prayer, full of both vulnerability and trust. Even the weak sort of trust he expresses has power. Thanks for your good wishes, Linda. I love the word “intention”. It has so much promise and potential. Yet, there is a way out if necessary. Maybe I should make it mine for 2018 as well. Life always seems to get in the way of goals, especially writing goals. I never make a big deal about what I want to accomplish every year, nor do I make resolutions anymore, but I was hoping to progress more with my memoir in 2017 as well. Work, moves between house sits, a trip “back home” to see family and friends, and a family health emergency got in the way. Maybe 2018 will be the year to see its completion? I believe we are on the same track Liesbet. The thing is – quitting is the only way we won’t accomplish our writing goals. And we are not quitters. Full steam ahead in 2018! I am enjoying the new direction your blog has taken this year, Carol. All the best in the new year. 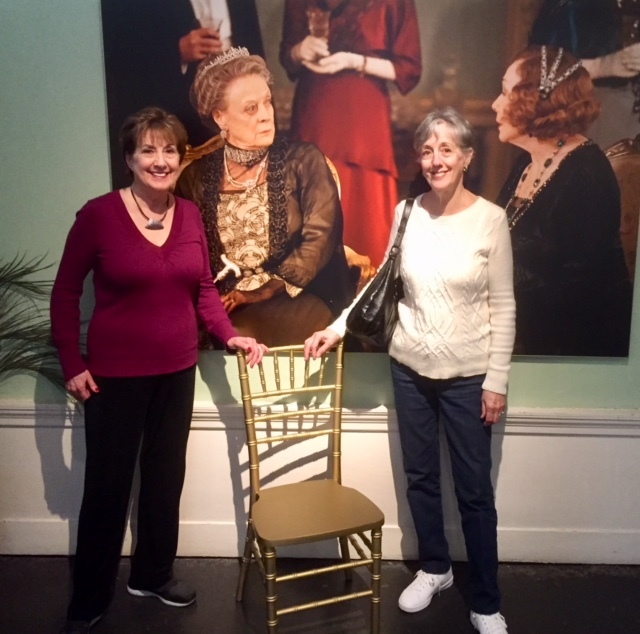 Marian — I love the photo of you and your sister at the Dressing Downton exhibit. It looks like you had a lot of fun! Your word for 2018, INTENTION, is filled with vim and vigor. I’m glad you know that writing goals are achieved “via a zigzag path,” and that you must “be resilient enough to know detours don’t mean denying the goal.” In my experience, detours are sometimes the best part of the journey! You are the voice of experience, Laurie. Vim and vigor are good words too; I’ll hold on to them. But just now I feel a nap coming on . . . ha ha ha! I love the parade of your words. Your parade of words express your true calling, Dolores. In all the time I’ve known you, you have gone deeper. I admire that. Loved your quote by Thomas Merton. It is a great comfort that God knows my intentions and the desires of my heart, to please God and trust God’s leading. Didn’t have a good start to the new year as both my husband and I suffered with severe colds, and that makes everything look bleak and dismal. But I know brighter days are ahead! I have a word for the new year as well, but will share it on my next blog post, when I feel a little better! I hope both you and Hardy are on the mend. Florida was warm in December, confusing all the plants, sending pollen into the atmosphere. Lots of people, including my husband, ended up with sinus infections. Yes, indeed, brighter days are ahead. You can be sure I’ll check out your guide word for the new year ~ when you feel up to it, of course, Elfrieda. I have used various focus words in the past, Marian. I was still reeling from the election and planning to attend the women’s march on Washington at this time a year ago. My focus was on nonviolent RESISTance. The year before that, 2016, my word was SERENDIPITY. In 2015 it was NOTICE. And in 2014 CONNECTION. Your post prompts me to choose another word for 2018. I have long loved the quote from Thomas Merton, and I just gave a stack of goods to the Thomas Merton Thrift Store which supports the Thomas Merton Center, next door to Kate and Nik’ AirBnB. I have wanted to stop and visit the Center, and this little prompt will help me do it. From his quote, I select the word DESIRE for 2018. Much like your word INTENTION, it opens the heart. One of my DESIRES is for you to publish your book in 2018. Can’t wait to read it. Among your choice words in past years, I recall especially the words NOTICE and SERENDIPITY. Because of the surprise element in the latter word, I tried to look for happy coincidences myself that year. Now I’m curious about the Thomas Merton Center, so close. Maybe a report of your visit will appear in the January round-up on your blog. DESIRE suits you to a tee, for it connotes passion, a word that infuses all you do. Thanks for the nod to me on your wish list., Shirley! Your voice sounds as strong and true in this comment as it does in your fanciful blog stories. Love is always good medicine for strong emotions. Perhaps you’ll visit your Florida friend. 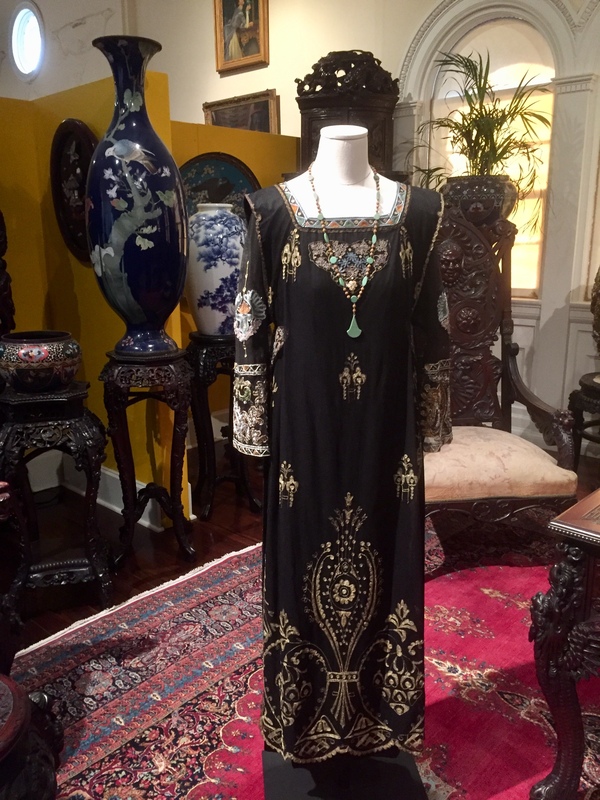 Even if the Downton display is gone, you could spend a day in the splendor of the Lightner. 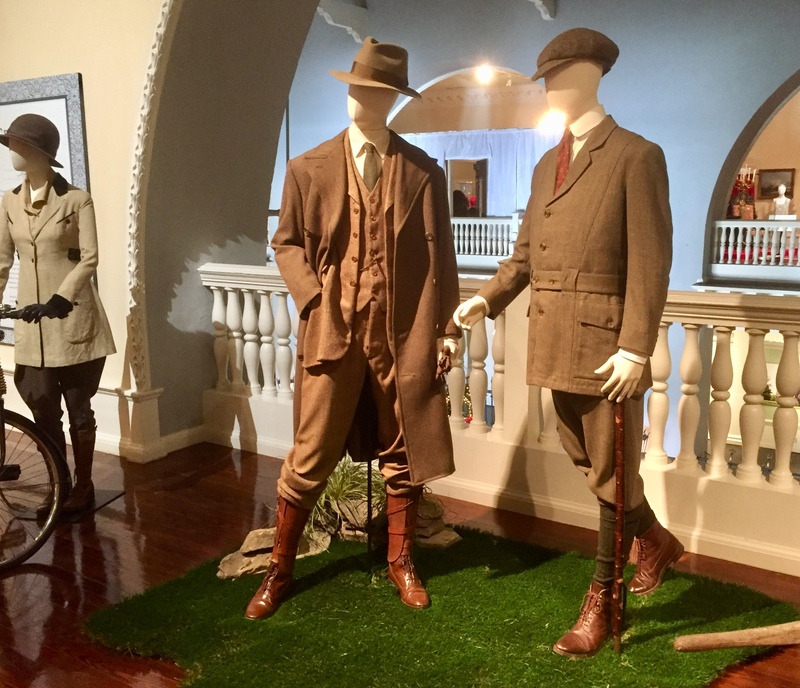 All the props for the outfits (furniture, carpets and other props) came from items in the museum. Tomorrow I have my Pilates class, a close cousin to yoga. I hope I’ll remember to dwell on love. I am sure your book will be published when it is ready to be published. These things have a mind of their own it seems. Hang in there!! Yes, I do recall reading this on New Year’s Day, commenting too. One of the keys to your writing success is balance, I believe. In amongst writerly goals, I saw you wish to paint the house and celebrate your mother’s 90th birthday, probably not both in the same month – ha! I have never set resolutions or chosen a word. Last week a word chose me, although I don’t know whether it will insist on being my word for a month, six months, a year, two, or five years. It will be my word for as long as it takes me to comprehend why it chose me, and what it’s asking me to learn. I hesitate to make it public, because it’s a hugely misunderstood word. Interestingly, Thomas Merton wrote extensively on it. So did Dietrich Bonhoeffer, and Benedict. It’s their understanding of the word, not the world’s frequent misinterpretation, that I’m focused on. Humility. I hope your writing goes where you want it to go this year. I hope the same for all who write. It’s difficult to write, but it’s important work. I recently picked up The Writer’s Block: Using Brain Science to Solve Writer’s Resistance **Including Writer’s Block, Procrastination, Paralysis, Perfectionism, Postponing, Distractions, Self-Sabotage, Excessive Criticism, Overscheduling, and Endlessly Delaying Your Writing by Rosanne Bane. I recommend it. Your word choice is a brave one and, as you say, frequently misunderstood. My take: Humility implies a power source apart from oneself, but it doesn’t mean self-effacement. I see humility as encompassing boldness and self-confidence but without pride and self-importance. I appreciate the book recommendation by Rosanne Bane. I will look into it. Reading sustains my writing. I suspect you feel the same way. Thank you, Tracy, and a Happy New Year! Marian, I know so well about Plan B. I don’t believe I have ever finished a writing project exactly when I intended, but, at least for those that mattered, I have always finished. Finishing is what counts, and you are well on your way. God bless your year and your writing. It’s good to have you in my cheering section, Luci. God bless you as you forge ahead with your dreams for 2018. As they say, life happens. Your time spent with your sisters and going through the mounds of stuff impacted your year in ways you’ll be discovering for awhile yet, I’m sure. You have a good word going for this year: it allows for the unexpected! Best to you and always fun to hear what you come up with! Thanks, Melodie. Like you, I’m expecting progress. I really enjoyed your last post and left a comment. Happy New year! Having recently read your marriage memoir, I get it! You seem to thrive on challenges. I guess I do too, but prefer not to work under pressure. My mind would freeze up if I had to cram the night before a test. But I agree: There is always something or someone who wants to “dispute the passage” with us high achievers. I guess that’s how we built strong emotional/mental muscles. Thanks for checking in this evening, Debby! I miss Dowton Abbey so much don’t you ? But we were cheered up here in the U.K. for Christmas by a B.B.C production of Little Women …brilliant …don’t know if you can get it . My sister is still mopping her tears ,as we speak , and enjoying every moment of it . ‘Visible ‘ is my word Marian …Visible for all the right reasons . Yes, I miss Downton Abbey, but I have subscribed to the ACORN network, which produces British dramas exclusively. Did I say we are British drama junkies? Just can’t get enough of it. American TV networks regretably are time wasters. The Acorn dramas we’ve seen are entertaining ~ and uplifting. Right now we are watching the series The Indian Doctor set in a Welsh mining town, right down my alley. Do you watch movies with your sister? That would be lovely, and you could have lively discussions afterwards. As always, thank you for warming the cockles of my heart today, Cherry! Ah bless you …such a wonderful reply . I am so glad you love our T.V when it’s good it’s pretty darn good I have to say . I have watched some of the Indian Doctor and I love it too. My sister and I don’t often watch T.V together but we like similar things and we email or text every day and phone each other every week, so we have great discussions on out viewing . Intention is such a great word! Marian, intention is a power word. I’m never clear if I have too much of it already. My sons think I do. My year started with promise–my son moving close to home with his girlfriend of two years. so a new loving woman and her dog in the family, then came a thrilling Monarch butterfly season, and a writing prize for “Wild Nights” that meant the world to me. Then, as life has a way of doing, the collapse–the romance shattered along with the plans we had, I lost most of what remained of my hearing, my mother-in-law teetered between palliative care and hospice (still on that edge, but on the hospice side now), and then the big freeze here and a winter virus. I didn’t write a New Year’s post about intention, but instead shared photos of gratitude n 2017. I wrote another post this week for my local hospice called “Ten Ways to Kindle Light in the Cold Dark Season” (https://www.hospicare.org/ten-ways-to-kindle-light-in-the-cold-dark-season/) which felt as much like my intention as anything. How do I keep the light glowing in this life? I hope to stop fretting about hearing loss and enjoy things I can do without hearing. I’m grateful for photography, jigsaw puzzles, and reading. I’m glad I’m a writer and not a singer. I’m grateful for my quiet home. I’m taking on more volunteer responsibilities at hospice because I love the people who work there and the people who use the services. I’ll write more for them and continue working with volunteers. Service seems essential to me, but my hearing is such that I had to give up most bereavement work. I’ll write when I’m asked (I’m preparing a piece now for A Network for Grateful Living and was grateful that hospice asked me), submit more small pieces, and walk through writing doors that open while continuing to work on my mythology/memoir project and hope it begins to take a more solid form. I’ll spend time with my sons and visit a few friends in AZ who I haven’t seen for years. I’ll try to remember Thomas Merton’s surrendered perspective and trust that there is a plan and I’m guided on the path even when I feel lost.. New Year’s Blessings to you. GRATEFUL is writ large on your reflection here. When life tries to squeeze the stuffins out of you, in the end you choose the positive. This year you have deservedly received laurels and are in demand as a writer for hospice and other projects. I applaud that! Thank you for listing all the ways you keep the light glowing in the dark. Remember, the porch light is always on here and in our other connections. One more thing: You have a lovely farmhouse and large gardens. Someone will be happy to plough the fields when the time is right. Don’t count out one of your sons. They are milennials (or Gen Xers) and prone to change their minds. We’ll see. In the meantime, I will hold you in my heart – and prayers. I am putting away my Christmas cards now but will set yours aside. Thank you for the thoughtful gesture. Wishing you good health and pleasant prospects for 2018. Hi Marian, I really enjoyed your post about your words for year and your past words. I’m new to this word of the year scenario but recently wrote a post about my word this year which is Focus! I see that was your word last year and it was interesting to see your progress 🙂 I have a few other F words too on which I want to focus, friendship, family, fun, fitness – so i will see how I go! All the best to you. You surprised me, Debbie, with your happy little icon and post in this column. The only F words you listed are also a part of my regimen: This morning I strapped on my Fitbit to help me lose a few pounds: Not the Fitbit but the exercise will do the trick – ha! Thanks, so much. I’m glad we have this connection. Now to check out your post on Focus.